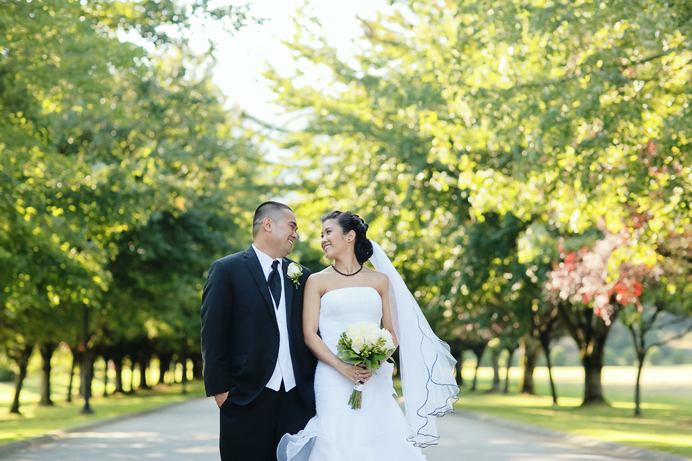 Tracy and Leo celebrated their wedding reception at Swan-e-set Bay Golf Resort in Pitt Meadows. Tracy and Leo have a great love story to tell about their lives before the wedding, and when Tracy shared this story in her speech to their many close friends and family in attendance, I don’t think there was a single dry eye in the room. Tracy’s sister’s speech said it all – Tracy is a strong, loving, and devoted women. Anytime I attend a wedding and witness a family member crying through most of their speech, it tells me a whole lot about how much love there is between two people, and Tracy’s sister’s speech was just that – it was emotionally heart-felt and likely one of the best speech I have ever heard from one sister to another. It was clear how much they had been through together and how much love they had for one another. Leo is the kind of guy everyone loves to be around. He’s got a great smile, he’s super fun, and best of all (as his best man put it) he’s always looking out for others before himself. He’s such a caring guy that even on his own wedding day, he was constantly checking in with us to make sure we were doing OK throughout the whole day. It was such a priviledge and a pleasure to spend a beautiful summer day with them. Tracy and Leo have a great family and so many supportive friends (some of which are amazing singers! ), and a loving church community that will continue to be a strong foundation for their lives in the years ahead. To cap off their reception, they surprised their guests with an amazing fireworks display (by Celebration Fireworks) that had everyone in awe. It was an exciting light show (photos to come later) to start off their lives together. Simply amazing. Great preview shots. Looking forward to seeing more!